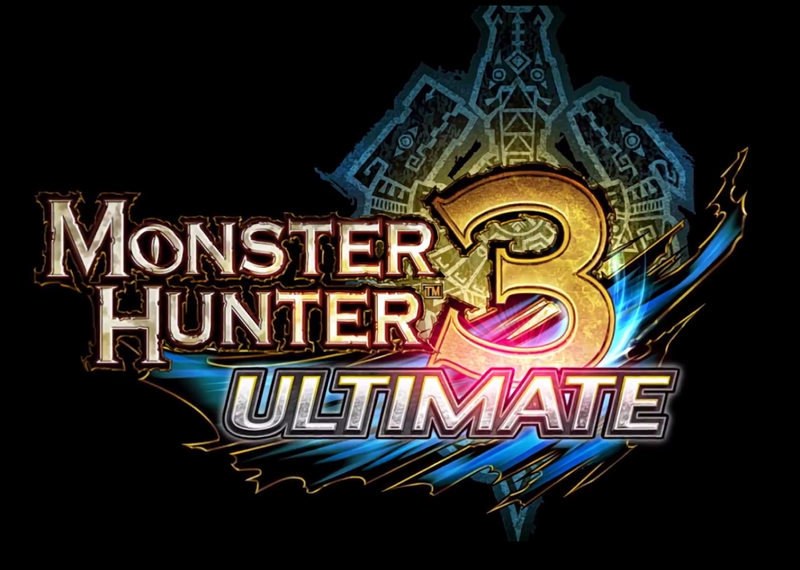 Monster Hunter 3 Ultimate is one of those games I never saw myself picking up. I had a bunch of issues with the original Tri on the Wii and never ended up playing it as much as I should have because of those issues. When I heard that they were doing an updated rerelease of the game, I wasn’t terribly excited. However, my buddy (the same one I discussed the lack of augmented reality on the 3DS with!) decided to grab the demo while he was here, and we gave it a shot. Have I mentioned that I love it when I’m wrong? If you’ve played Monster Hunter Tri, you know what you’re getting with Ultimate. The offline campaign deals with you assisting Moga Village, you get a little masked dimwit as a sidekick, and you can spend (in my case entirely too much) time working on a farm. While it’s pretty much the same thing, you also get a whole lot more. Classes and monsters imported from other Monster Hunter games, an improved online system, and a hell of a lot of customization and extra stuff not present in the original really sets it apart from Tri. My personal favorite addition has to be the new weapons. I’ve never found a weapon that totally resonated with me, but sword and shield was pretty close to perfect. In Ultimate, they’ve added (among other things) the Dual Swords weapon. A fast, combo-centric, all-in weapon set that fits me perfectly. This isn’t the only new equipment addition, either. Weapons such as the Hunting Horn and Gunlance from the second generation of games make a reappearance. In addition to this are returning and brand new monsters and subspecies. You thought Jhen Mohran from Tri was huge and terrifying? Well, now he’s got a more aggressive subspecies in the form of Hallowed Jhen Mohran. Alternatively, if you’re tired of beating up on big enough to climb on, you could go hunt down the all new Brachydios and hopefully not get blown up by his explosive slime. Granted, I haven’t fought either of these, but hey. Finally, I cannot give enough props to the online system in this game. Gamepad-centric keyboard for typing, built-in voice chat, and an overall better connectivity issue makes it an absolute joy to play. For reference, I think I would disconnect… once every three hunts in the Wii version and would have issues connecting to the server in general. I’m not sure if this is a change with something on Capcom’s end or Nintendo’s end or my end, but I’ve only had a brief connection drop with Ultimate. It’s a massively welcome change. I honestly can’t think of anything else to talk about. I will recommend you try out the demo, but it’s not the world’s greatest demo. It kinda throws you into a fairly big hunt totally blind, but it helps give you a sense of what you’re getting into. Anyway, if you were a fan of Tri or any of the series, I definitely recommend picking this one up if you’ve got a Wii U, as the 3DS version apparently lacks real network play. So yeah, I’m out for now. Hopefully I’ll be back tomorrow with some more stuff, but until then, thanks for reading and have a good’un! This entry was posted in Review, Video Games and tagged mh3u review, monster hunter 3 ultimate, monster hunter wii u. Bookmark the permalink.